They Handle The Pointy Parts...You Have The Fun! Gator Adventure Park located on International Drive Orlando is fast becoming a favourite to holiday makers who are based in the area. With the likes of Universal, SeaWorld and Wet 'n' Wild also on your doorstep, Gator Adventure park offers you mini golf and those snappy alligator shows for all to enjoy! Well the give-a-way must be the alligators on show around Gator Lagoon home to over 200 and the amusing live shows which feature alligator wrestling and comedy sketches, plus the serious part of alligator conservation within Central Florida at the academy located onsite. We'll cover this below in our link section. On the lighter side of the park is Gator golf which winds around Gator Lagoon, is a mini style 18 hole golf course with those pesky out of the way holes us parents can never manage to get in three shots. Entrance Prices... Starting from $4.99 children under 3 free! Gator Golf...18 Hole mini-golf course which winds around Golf Lagoon! Party & Events...Birthdays, Corporate and Special events Tel: 888-49-42867 for further details. I-Ride Trolly....Step off at stops #8, #9 & #10 directly opposite Wet 'n' Wild...Excellent value for money. Forums...Your views and experiences about CoCo Key and around Orlando just choose a number 1, 2, 3, 4. 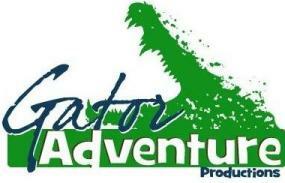 When you're planning your trip to Gator Adventure Park, you don't want to use old news and information. We will keep updating our site via our RSS feed. Simply click onto the RSS feed above and follow the instructions. It's an easy way to stay on top of what's happening in & around Orlando, free of charge.